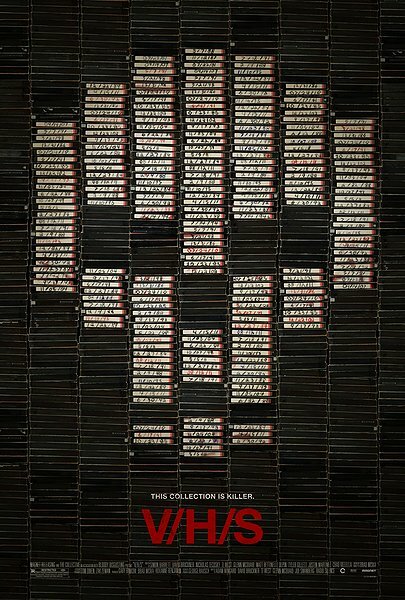 V/H/S is an interesting idea for a film, as an anthology it is one of those films I have wanted for a while as I loved Twilight Zone and Creep Show but it failed in a few places which annoyed me to no end. Out of the six horror stories told in this found footage film; I liked three of them but the others where slow and failed to impress me. It’s not something I think needs to be in the found footage genre as for the most part it just annoyed me, maybe having one the story with shaky camera would work but I guess the film title wouldn’t make sense if they weren’t found footage. 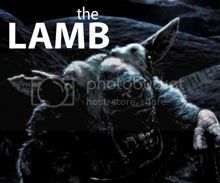 I can still dream of a modern horror anthology. This is an anthology of horror episodes that are tied together with one main story. It’s about a group of guys who go round filming their crimes on tape. They are hired to do a “job” for an unknown accomplice. They have to break in to a house and steal a V/H/S tape with something on it, but they aren’t told what it is. While in the said house they find way more than just one tape, so they grab as many as they can and they start watching them while in the house. But what they see on these tapes is more than they can handle, and it’s also hard to believe. But will it cost them more than they bargained for? To start off let’s talk about the acting. The acting was alright I suppose little weak really. Each story had a different set of main characters so I will go through Character and dialogue for each film. Tape 56/Main Story Arc was the least favourite of the stories which is really bad since it’s the main one, specifically though the characters were just boring and stupid, the dialogue was not there at all. Amateur night which was one of my favourite of the stories had pretty good characters but mainly from the monster in the story who played a naïve girl (Hannah Fierman) and then a ravenous monster which is difficult but she pulls it off, so well done to her. Second Honeymoon is my least favourite story as it was mainly boring, there was nothing scary and the acting is non-existent. The characters and dialogue are pretty awful as well. Tuesday the 17th was a very interesting story that was good at having a horror story come out of nowhere and still be clever, the deadly side of this story actually makes use of cameras interesting. The Sick Thing That Happened was the weirdest story and could have been better without the weird twist at the end; the haunting story would have been smarter and it would have been given a better score. However the characters were pretty good and I liked the paranoid acting of the main woman Emily (Helen Rogers). 10/31/98 was my favourite story of the anthology and I am glad it somewhat ended on it, the characters where the most relatable and the dialogue was realistic. The story was the most chilling not necessarily scary but still very fun and generally a much better story than the others. So let’s talk about something more fun like the visuals. The special effects, physical props and visual landscape shots generally good, each story had a different director but the visuals also had different groups of people working on them which make each story have its only look and feel, whether this works for all of them or not it is still an interesting film. Tape 56/Main Story Arc was the loser in this category as well with nothing specific visuals to speak of. Amateur Night had some more conventional effects with the monster called lily having some face effects and the gore effects really had to be brought to this story as she ate lots of people. Second Honeymoon had no effects so it doesn’t really have any scores here, although the Knife in the neck looked good. Tuesday the 17th had a weird set of effects to bring out the gore and the murderer with people getting machetes in the head and the weird distorted tape effect on the murderer. The Sick Thing That Happened had terrible visuals with nothing clever or inventive considering the story. 10/31/98 had the best visuals and really used the story well to display them, the house attacking them and haunting visuals really did well to give chills and shocks which the rest of the stories failed to really do. The best reviews I found would be these “At nearly two hours, the gimmick punctures a hole in itself, causing ambiance bleed-out.” Robert Abele. Really true, the film went on too long and caused too many useless waiting scenes. “In too many of the shorts, bad acting quickly undermines the “authenticity” the aesthetics labour to achieve.” Karina Longworth. The acting was pretty awful from most of the stories and really brings this film down. “”V/H/S” puts the majority of today’s mainstream “scary” movies to shame; perhaps the solution is to cut them all down to about 15 minutes, and fund them on a shoestring.” Sara Stewart. I think she wants what I want which is plenty of anthology horror stories, because when they are shorter you can get to the pint faster. My favourite scene would have to be the last story where they are trying to escape the haunted house and the hands are coming out of the walls and people are getting taken into walls. Probably the most adrenalin inducing scenes of the film, not to say other scenes weren’t clever but this was the most horror related I think. I watched this, and hated it. felt like it wasted my time, and I need a neck brace now after trying to keep watching what was going on and instinctively turning my head to “follow” the found footage camera angles. The film is bold and daring in what it tries to do, but as the stories kept coming through the weak attempt of tying them all together, I just kept looking at my watch waiting for the movie to be over. a frustrating experience for me, truth be told. Not a fan of found footage i guess? Lol. I don’t mind found footage, but this one was just, I dunno. I really like when found footage allows the camera to be a character in and of itself if u will. Like Chronicle. I did really like Cloverfield. I quiet like the look of ‘The Bay’, you? yep, i’m interested in it. I’m curious what they’re gonna do with it. This is a pretty creepy flick from start to finish, but only certain parts really scared the hell out of me. That first and last segment were by far the best ones to show, and definitely made me wish they were all like them. Oh well, it’s a great scary movie to watch around Halloween. Good review Tim. No offense, but I’m not reading your review until I’ve seen the movie, Tim. I hope you understand. This is definitely not my cup of tea, Tim. As I said in your previous post, I’m not a horror fan. Drop it in the video store and run! I didn’t know this was an anthology. Might need to see this one.